Pathways prides itself on being an inclusive provision. This means we ensure, to the best of our ability, that the individual needs of your children are met, enabling them to reach their potential and achieve success. Pathways values diversity and welcomes all children including those with special educational or medical needs, disabilities, children from ethnic minority cultures, asylum seekers, travellers, and vulnerable children. All children including those with Special Educational Needs and Disabilities (SEND), are valued and feel good about themselves. Children’s awareness of difference is raised through positive images of disability in books, toys and displays. We value contributions from parents and the local community in helping the children respect and understand difference. Our commitment to inclusion is underpinned by our policies and practices. We work closely with local primary schools and other professionals. We involve parents in supporting their children’s individual needs and always seek written consent for a referral to external agencies. The Solihull Local Offer for children with additional needs can be found here. The Warwickshire Local Offer can be found here. Where children are not making the typically expected progress for their age, Pathways follows the SEND Code of Practice (2015) which includes a process known as Assess, Plan and Review. We speak with parents and agree how to best support your child’s learning and development, with a termly individual success plan and review of progress. 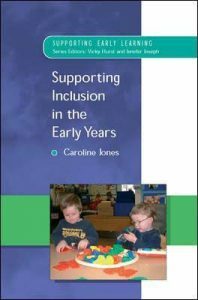 Pathways director Caroline A Jones is passionate about SEND and Inclusion. She studied her PhD in this field and her book can be found here.